Having achieved his childhood dream of opening a successful fitness center, discovered that it didn’t provide him with the joy and fulfillment that he thought it would. Disillusioned with “success” by the world’s standard, Jacob began to question his purpose and definition of success. Jacob came to understand that he had been duped into believing the lie of evolution and that it is man who decides truth, purpose and meaning in life. Using the wrong “map” or worldview, Jacob had pursued what he thought would bring fulfillment only to find emptiness. But God, in His great mercy had planted seeds in Jacob’s heart that would begin to sprout from this recognition of emptiness. So Jacob set out on a personal journey to find the true meaning and purpose of his life. By asking simple questions and doing basic research, Jacob began to see that what he had been taught in school was just a made up story with no basis in provable history or science and so came to the question, “Is there a god?” With that question asked out of a sincere heart, God reminded Jacob of some people that God had used to sow seeds into his life a few years prior and so Jacob began to look into Christianity and the religions of the world. After a short study it was evident that only one world religion was internally consistent, Christianity. The evidence was so convincing, in fact, that Jacob then asked the most important question, even in his lack of understanding, “God will you forgive me?” Of course, God already had and made that clear to Jacob in a personal way. Once using the right map, Jacob could then see clearly that his calling was to help others find relationship with God. A few years later, after growing and serving in his local church, Jacob felt he was destined for more, so he uprooted, sold his business and home, left everything he had known his entire life and set sail (figuratively speaking, of course) for Colombia, South America to serve as a missionary and to fulfill his purpose of helping others to know the love of God, discover their true identity and learn how to discover their purpose in Christ. After a year in Medellin, Colombia, Jacob felt the desire of God leading him to study at Charis Bible College in Colorado Springs, Colorado where he completed three years of intense Biblical study and received his ministerial license. Throughout this entire journey, Jacob continued to study apologetics, evolutionism and other religions; with the purpose of helping others break free from the grip of the humanist worldview and enter into the Truth that brings freedom. To this end is Jacob here, to defend the truth of the Bible and the truth of God’s love through Jesus Christ that all might be set free from the blind faith of hearsay and half-truths and that all might come to know THE Truth in Christ. In 1976, Andrew broadcast his first Gospel Truth radio program on a little country-and-western station in Childress, Texas. With the exception of a few months, he has been broadcasting the program ever since. Today he is heard across the country. Andrew and Jamie moved their ministry to Colorado Springs in 1980 and continued to see God’s blessing as they followed the call to teach. By now, the vision was becoming quite clear: to teach the truth of the Gospel to the body of Christ throughout America and the world with special emphasis on God’s unconditional love and the balance between grace and faith. They were fulfilling that vision by traveling to speaking engagements, producing radio broadcasts, and distributing audio cassette tapes, millions of which were provided at no cost to those who could not afford them. But God had more. God began speaking to Andrew about 2 Timothy 2:2. In that scripture Paul told Timothy to take the things that he had learned and commit them to faithful men who would be able to teach others. Andrew knew God wanted him to do the same. In 1994 a cornerstone of the ministry was laid in place with the dedication of Charis Bible College —a college committed to equipping the saints for ministry by providing sound biblical teaching and practical “on-the-job” training. CBC now has extension colleges in other cities and countries as well as In-Church Bible Schools. Then in January of 2000, Andrew broadcast the first Gospel Truth television program on INSP Network. Response to the message was tremendous, and since then, DayStar Network and The Church Channel in the U.S., God Channel of Europe Network, and several individual television stations have been added. The ministry continues to expand as God provides more opportunities and resources to take the nearly-too-good-to-be-true message of God’s unconditional love and grace to the world. Max Cornell grew up in southeast Kansas where he met his wife Molly. come to this earth through the fulfilled dream’s of God’s people. Hi, my name is Mike Braun. I am the founder of The Truth Wins Ministries. After over twenty years of owning my own service business, God directed me to attend Charis Bible College in Colorado Springs to become a minister of the gospel of Jesus Christ. God specifically called me into this ministry to train leaders across the world to understand their position as one of servant leadership. This model is perfectly displayed in the life of God’s son Jesus Christ. Because I still own my service business of over twenty-three years I am able to provide for my personal expenses. This means that 100% of the monies you donate are used to train leaders who will likewise affect the entire earth for Jesus Christ. Linda Patarello is a CBC Graduate from Colorado Springs, and is also residing in Colorado. A born again Christian, spreading the truth of God’s Love from the Bible. 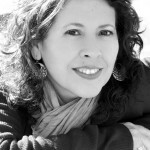 Linda is also a native from California with experience as a worship leader in several churches in Southern California. Gifted as a songwriter and singer, she believes the highest calling is to worship the one gave all gifts. Her priority in life is to pursue relationship with the Father God, Jesus Christ and the Holy Spirit, and to teach others that pursuit. For this we were born. She has a passion to help people discover a love for the Word of God, to teach people how to meditate on the Bible for themselves and find the hidden treasure waiting for them. 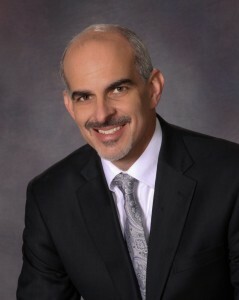 Duane Sheriff is the senior pastor of Victory Life Family Worship Center in Durant, Oklahoma. He is gifted with an anointing and ability to communicate the simplicity of the Gospel. He believes a personal and intimate relationship with the Lord is essential for every believer. His desire is to see the body of Christ walk together in unity. It becomes evident as Pastor Duane opens his heart that God has bestowed on him an abundance of divine revelation, which pours forth as he shares and ministers the Word. His personal presentation of the Gospel resurrects hope and ignites faith in the hearts of God’s people. 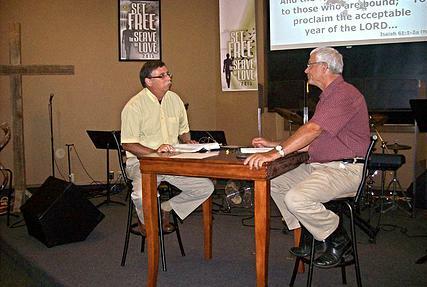 Pastor Duane began the free teaching tape/CD ministry in 1984. His insatiable desire to make the Word of God available to everyone, regardless of financial circumstances, burned in his heart. Many times the people that need the teachings the most are least able to afford them. The fruit of this outreach has resulted in the distribution of over 29.6 million free tapes and Cd’s. The main priority of Pastor Duane and his beloved wife Sue is the home. Their emphasis and commitment to their family have resulted in the strength and growth of Duane Sheriff Ministries and Victory Life Church. Currently, Victory Life is one church in nine locations: In Oklahoma – Durant, Ardmore, Atoka, Boswell, Broken Bow, and Hugo; In Texas – Brownwood and Sherman. The virtual church is Victory’s ninth location. Byron was born and raised in Queensland, Australia. His parents were pioneer church planters with the Church of the Nazarene for 35 years throughout Queensland. After completing a Bachelors degree in Education at the Mount Gravatt campus of Griffith University and teaching for two years, Byron moved overseas and served with Operation Mobilization (OM), an Evangelical Christian missionary training organization. While serving as a school teacher on board the shipMV Logos he traveled and ministered in Asia, India, Africa, and the Middle East. Upon returning to Australia, Byron served as the principal for two years at Bayside Christian Academy in Wynnum-Manly, Queensland, then moved to the United States to further his education. In 1989 he graduated with a Master’s degree in Theology at the Assemblies of God Seminary in Springfield, Missouri. For the next two decades Byron and his wife Leesa established several businesses in Springfield and served in various capacities within their local church. Leesa was raised in a Christian home and attended a Baptist Church while growing up in Arlington, Texas. As a teenager she went through a rebellious phase; at 19 years of age she received Christ as her Lord and was radically saved. In 1977-1980 she attended Arlington Baptist College and Dallas Theological Seminary. In the 1980’s Leesa acted in and helped produce two short films as a member of the Master-Vision Christian Artists and studied acting at Casa Manana Playhouse in Ft. Worth, Texas. Leesa has been a guest speaker for the Grace and Faith Women’s Conference in East Texas, Women of Influence in Colorado Springs, and has taught at several churches and Bible study events in Australia. In 2010, God called Byron and Leesa to Colorado to attend Charis Bible College, a ministerial training arm of Andrew Wommack Ministries (AWM) where they have both graduated and received their ministerial licenses. In 2012, after completing three years of Biblical studies at Charis, Leesa was approved by the World Outreach division of AWM to direct the first Charis Bible College in Australia. In 2012 Byron and Leesa founded Grace and Faith Ministries, a non-profit 501(C)3 ministry, for the purposes of raising support for a team of volunteer workers who would join vision and commitment to launch Charis Bible College and Andrew Wommack Ministries in Australia. (See Mission Statement). Byron and Leesa have four children and two grandchildren who all love and serve the Lord. 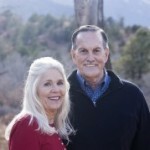 Lawson and Barbara Perdue are the Senior Pastors of Charis Christian Center in Colorado Springs, Colorado. Lawson began full time ministry in 1988, together with Barbara. For the past 24 years they have been actively involved in church planting, teaching in Bible schools, establishing new ministries, and missions. Pastor Lawson teaches the Bible in a practical way focusing on Grace and Faith. Barbara teaches on a regular basis as well, emphasizing practical Godly teaching in the areas of faith and family. 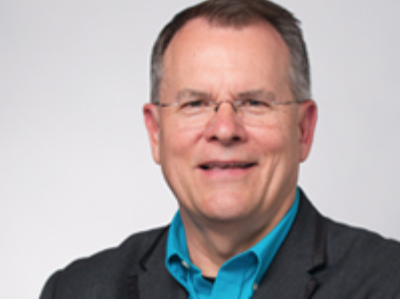 They both serve as as adjunct instructors at Charis Bible College, where Lawson also works closely with Charis Bible College president, Andrew Wommack. ASHLEY TERRADEZ has a passion for teaching people the invaluable skill of making money. He has been developing his techniques from a young age through the art of negotiating, buying and selling, online retail, flipping real estate, and owning several businesses. Ashley’s humorous and energetic teaching style is captivating and yet extremely practical, inspiring you to make money with integrity and honesty so that you can live and give like you have always wanted to! Was born and raised in the UK, and moved to the USA after graduating from Charis Bible College in 2008 with her husband Ashley. Serving the Lord has always been a focal point of their marriage and has led them through a variety of ministry positions over the past decade, from youth pastors and school workers to world wide missions and church planting. Thereafter being ordained with Andrew Wommack Ministries. They have three wonderful children Zachary, Joshua and Hannah and it’s through then they have seen the miraculous power of God at work. Carlie and Hannah have both received healing from life threatening conditions. Healing has naturally become a huge part of their journey as a family and something that Carlie is passionate about imparting to others. Mitch Powell and Terry May began their friendship in November 2012. It would have been easy for them to have a chance meeting during the 30 years they’ve lived just 25 miles from one another in Kansas. However, it was at God’s appointed time the two of them met at an Andrew Wommack conference in Dallas, Texas, in 2012. From this meeting, Today Forward was founded in 2014 providing teaching CD’s, local radio programming, and teaching seminars available to churches of any denomination. 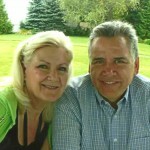 Mitch and his wife, Nancy, received a vision of Today Forward many years ago but waited for God to provide the timing. Mitch, an ordained minister of the Christian Church, conducts weekly study groups and is a church elder. Raised on the family farm, where he and wife, Ann, still live, Terry has been a farmer/stockman all his life. Terry attended Charis Bible College in Colorado Springs and is a licensed minister. He teaches weekly study groups and serves on the board where attending church. Our goal is to help believers grow in knowledge and understanding in their walk with the Lord. Knowing that the Spirit of God lives within every believer and understanding how the Holy Spirit works within our life is the key to growing in Christian maturity. Through scripture, we uncover the work of the Holy Spirit and how it pertains to daily living. It is not our mission to change any church’s doctrine. We are lead by the Holy Spirit to proclaim the Gospel of Jesus Christ and to nourish the fruit of the Spirit which is within all believers. With a pastor’s heart, Greg takes his students on a journey to go deeper in their relationship with God. His classes include Establishing the Prosperous Soul, Fruit of the Spirit, and The Life of Christ. Students will gain a richer understanding of Christian living from someone who has gone ahead of them. For more information call visit www. Over 30 years ago, Penny and I began our walk with Jesus. Through the years we have been amazed by some of the opportunities we have had to advance the cause of Jesus in our world. 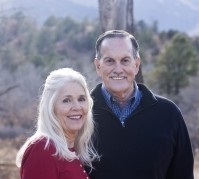 Dan and Penny were born again in 1973 and started a church called Agape Fellowship in 1976. Today Dan and Penny Pastor Heartbeat Ministries. 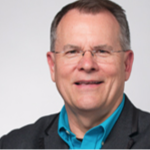 Dan remains active with Charis Bible College as an adjunct professor. Cecil and Lisa were released by the Lord into ministry in 1986, they chose to wait and be ordained in 1997 through their church. Cecil received his doctorate in ministry in 1999 from Christian Life School of Theology. 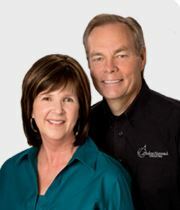 They were associates with Andrew Wommack Ministries from 1993 to 2003 as director and supervisor of the Helpline and Encouragement Department. Cecil is frequently scheduled to teach in Charis Bible College where he trains students in preparation for ministry. 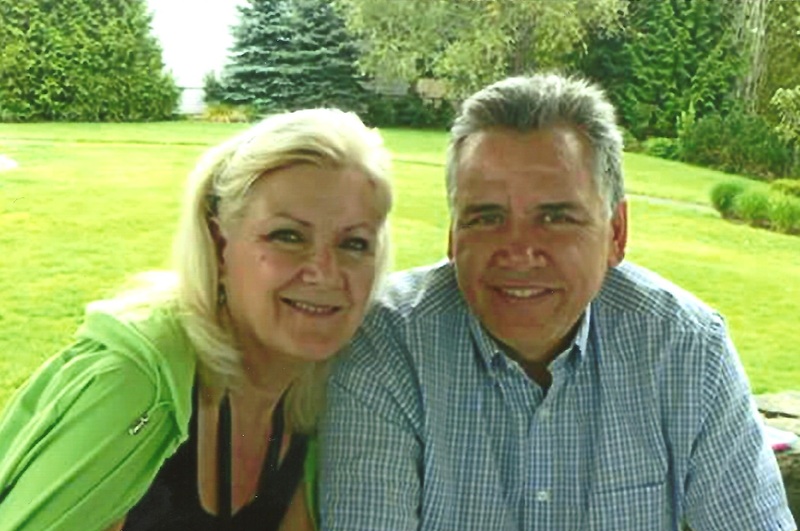 Cecil and Lisa have both been released into full-time ministry and travel around the world teaching and training believers in the body of Christ with signs and wonders following their ministry. Barry brings his years of teaching the Word and his experience as a missionary in South America into his classes. 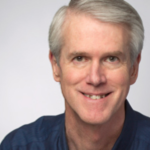 By opening up his life, Barry is able to bring clarity to and guidance about some of the most disputed topics in the Word of God. 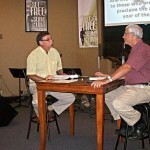 Some of his classes include Answers to Important Questions, Healing, Laws of the Kingdom, and Discipleship Evangelism. Students will gain not only knowledge but also the wisdom to know how to apply the Word to their lives and ministries. Daniel is the dean of worship/arts and the director of Healing School. He is a seasoned, ordained minister and a published songwriter and recording artist with a lifelong passion for the arts being used for God’s glory. He holds a bachelor of music degree in vocal performance from the University of Colorado and a bachelor of theology degree from Christian Life School of Theology. Daniel and his wife have been married for thirty-nine years and have two grown children and three grandchildren. 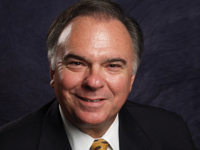 Paul Milligan joined the Andrew Wommack Ministries Board of Directors as an independent voting member in 2003. 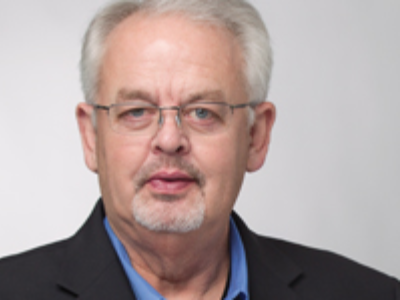 With over thirty years of experience in the corporate world and twenty-three years building his own company, Paul has accumulated a wealth of wisdom in business and finance. He has founded twelve corporations along with his ministry, LifeWalk International. In January 2004, he began a worldwide teaching ministry to the body of Christ, primarily in the areas of business and personal financial stewardship. Paul has taught in churches, Bible colleges, and organizations all over the United States and in many foreign countries. Paul and his wife, Patsy, live in Decatur, Texas, and have three children and nine grandchildren. Pastor Bob has been the pastor of Grace Church, a vibrant and growing congregation in his hometown of Tulsa, Oklahoma, since 1980. 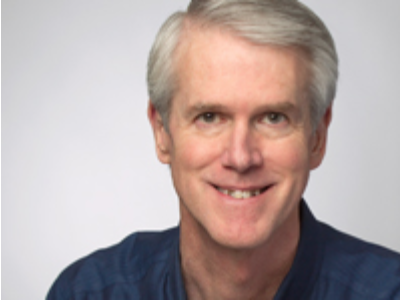 Bob is widely acknowledged as one of the most knowledgeable Bible teachers of this generation. He also served as the Dean of Students at RHEMA Bible Training Center for several years.